Combat veteran and author Hans Halberstadt takes readers deeper inside the elusive world of snipers than ever before, from recruitment and training to the brutality of the killing fields. Shadow Team is probably the most productive sniper team in American military history, accounting for 276 confirmed kills in a six-month span with no casualties of its own. The team's leader made what was-and may still be-the longest range kill with a 7.62mm rifle. For the first time ever, team members explain what it's like to kill a man and what it takes to become one of the elite. The tragic tale of Headhunter Two is altogether different. This four-man sniper team from a regiment known within the Corps as the Magnificent Bastards was killed in 2004 in Ramadi, Iraq. Their deaths not only caused a reevaluation of sniper tactics and techniques but also created a desire for vengeance that was exacted nearly two years later in dramatic fashion. 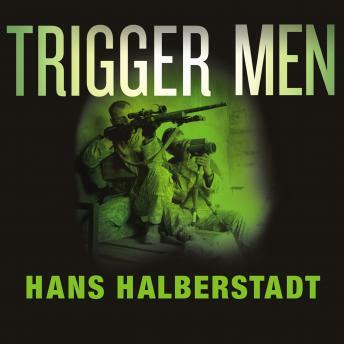 Based on hundreds of hours of exclusive interviews, Halberstadt gets inside the sniper mind and shows how snipers think and interact with each other, how missions are planned and executed, how the weapons work, and even what happens when a bullet finally strikes its target. There are only a few hundred snipers from all the services put together in combat at any one time, making this true inside story a rare and important event. Very insightful on the life of a sniper and their teams.